How and when does Taxotere (docetaxel) work for the treatment of prostate cancer? How Does Taxotere (docetaxel) Work? Taxotere (docetaxel) works similarly to many chemotherapy medications by disrupting cell division (called mitosis). Since cancer cells are some of the most rapidly dividing cells in the body, these cells are preferentially affected by the action of Taxotere and, consequently, die at high rates when the drug is administered. In addition to prostate cancer, Taxotere may be used for people with some kinds of lung cancer, breast cancer, or ovarian cancer. Taxotere was brought into the mainstream of prostate cancer therapy after a study was published in the New England Journal of Medicine in 2004 that showed that Taxotere in combination with the steroid prednisone resulted in improved survival when compared to the then-standard drug for advanced prostate cancer, mitoxantrone. The New England Journal article also showed that those men treated with Taxotere had an overall better quality of life and improved pain control. 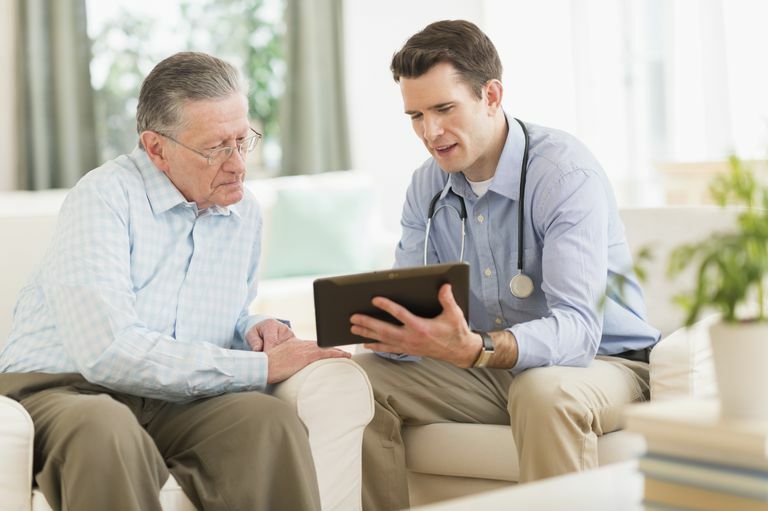 At that time, Taxotere was considered a treatment of choice for advanced prostate cancer in men whose prostate cancer had spread beyond the prostate and had become resistant to hormone therapy. Large studies such as the CHAARTED trial, among others, have changed the approach to early metastatic hormone-sensitive prostate cancer for many men. These cancers may be metastatic at the time of diagnosis or have become metastatic after initial therapy for local prostate cancer. Whereas Taxotere treatment had previously been used for men who with advanced prostate cancer who had become resistant to hormonal therapy, it appears that using Taxotere treatment early on - at the same time that treatment with hormonal therapy is initiated - has advantages in both progression-free survival and overall survival. Certainly, Taxotere has side effects of concern as any chemotherapy drug, but this, as well as advances using other medications, is an exciting sign of progress in the treatment of prostate cancer. The STAMPEDE Trial recruited men with locally advanced prostate cancer. Men who were given Taxotere at the time hormone therapy was initiated were found to have better disease-free and overall survival than those who were treated with hormonal therapy alone. A caveat is that men who are the best candidates for this treatment are those who have "high-volume" prostate cancer. For men with locally advanced prostate who are high risk, using Taxotere in an adjuvant setting (an "in case" scenario) was found to significantly decrease the incidence of distant metastases (spread) of their prostate cancer. These men were treated with Taxotere plus hormonal therapy and radiation therapy, rather than with hormonal therapy and radiation therapy alone. Of course, Taxotere does have some adverse side effects which need to be considered. Neutropenia: A low white blood cell count which can predispose to infection. Anemia: A low red blood cell count which can cause fatigue among other symptoms. An allergic reaction: This is common, and medications to counteract allergic symptoms are usually given along with the infusion. Fizazi, K., Jenkins, C., and I. Tannock. Should docetaxel be standard of care for patients with metastatic hormone-sensitive prostate cancer? Pro and contra. Annals of Oncology. 2015. 26(8):160-7. Goodman, A. Docetaxel Combined With Hormone Therapy Extends Survival in Advanced Prostate Cancer. The ASCO Post. http://www.ascopost.com/issues/may-25,-2015/docetaxel-combined-with-hormone-therapy-extends-survival-in-advanced-prostate-cancer.aspx. James, N., Sydes, M., Clarke, N. et al. Addition of docetaxel, zoledronic acid, or both to first-line long-term hormone therapy in prostate cancer (STAMPEDE): survival results from an adaptive, multiarm, multistage, platform randomized controlled trial. Lancet. 2015 Dec 21. (Epub ahead of print). Martel CL, Gumerlock PH, Meyers FJ, et al. Current strategies in the management of hormone refractory prostate cancer. Cancer Treat Rev. 2003;29:171-187. National Cancer Institute. NIH-funded study shows increased survival in men with metastatic prostate cancer who receive chemotherapy when starting hormone therapy. http://www.cancer.gov/news-events/press-releases/2013/E3805. Tannock IF, de Wit R, Berry WR, et al. Docetaxel plus prednisone or mitoxantrone plus prednisone for advanced prostate cancer. N. Engl. J. Med. 351 (15): 1502–12. Can Alternative Therapies Help Treat Your Prostate Cancer? What Is the Role of Prostate Bed in Prostate Cancer Treatment? What is the D'amico Classification System for Prostate Cancer? How Does Hormone Therapy for Prostate Cancer Work? What’s New in the Treatment of Prostate Cancer?